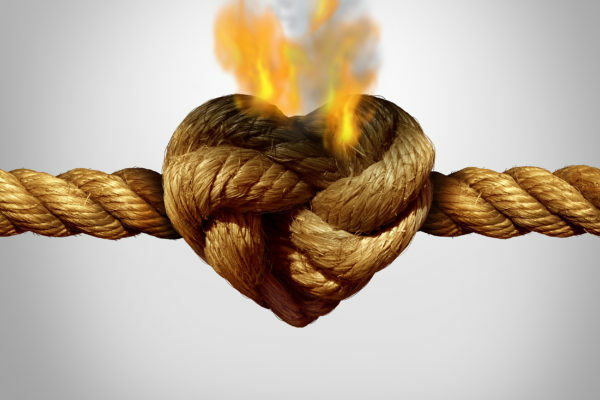 Conflict is inevitable in any long-term relationship. In the Gottman approach to couples counseling, we help clients understand that conflict is normal. Rather than eliminating conflict, we help them learn to manage it. Why can’t all conflicts be resolved? Because backgrounds and personalities don’t match exactly. Couples will always have some areas of disagreement: neat/tidy, disorganized/scheduled, emotionally expressive/keeps feelings inside, to name a few. Even two tidy people may disagree on who does more work around the house or, perhaps, what cleaning routine to follow. By the time couples come to counseling, they have often been having the same argument in different forms for many years. The issue has become gridlocked—and just as drivers stuck in traffic feel angry and frustrated, partners who can’t move beyond an issue start having negative feelings about each other and the relationship. Anger is often the result of feeling misunderstood. When one partner feels like they are not being heard on a particular issue, and they likewise have trouble listening to their partner’s point of view, anger simmers, sometimes for years—finally coming to a roaring boil. Jim and Joan came to counseling because she felt he stopped participating in the family years ago. Meanwhile, Jim felt disenfranchised. His views and opinions on how they were raising the kids were ignored and he felt he was “just a paycheck.” Joan felt he had checked out and was uninterested in her, the kids, or their home. They were both angry; they both felt the other was wrong. When they tried to discuss this problem it always escalated to screaming and yelling, often within earshot of the kids. When they started couples counseling, they had had this same fight many, many times. Jim would withdraw; Joan would become more focused on her friends and the women in the neighborhood, whom she confided in and got support from. Joan and Jim were emotionally estranged. Not surprisingly, intimacy, both emotional and physical, had come to a grinding halt. When I listened to them discussing a variation of this gridlocked problem, I saw that each became angry quickly, and the result was they stopped listening to the other. Joan would lecture and Jim would face the other way, clamming up. People have many ways of expressing anger: he was seething inside quietly, and she was ranting loudly, but both were angry. I stopped them when this happened and had them take just a few minutes to calm themselves. To go from anger to calm by learning to self-soothe is an important skill in all relationships, but especially in marriage. It can take just a few minutes to do this. This isn’t about swallowing or denying anger; the trick is to then re-engage in the conflict discussion with a more receptive and less defensive tone. Staying angry is much easier, but “doing it in the right amount, at the right time, and for the right end, and in the right way” (as Aristotle said) produces quite different results when dealing with a perpetual problem. It is okay to be angry. But understanding why you are angry, and learning to express your feelings in a way that is clear and void of the four horsemen will lead to a very different conversation with a different outcome. Once Joan and Jim learned to talk about their conflicts without getting flooded, they listened to each other with deeper respect for the other’s feelings. This is the first step in learning to compromise. Practicing self-soothing is something you can do at any age, and at just about any time. Listen to this simple three-minute ”breathing space” to feel the difference in your thoughts, feelings, and physical sensations when you take just a few minutes out of a difficult situation. For it is not just the repeated, unmanaged fights that damage the relationship, but the skewed and distorted perceptions that keep you stuck in gridlock, stewing, for years—over the same issue. You have brought some refreshing insights on anger management.More than that, i am intrigued by couple counselling the way you show it unfolding.’Gridlocking’ is indeed a reflex action which finds roots in deep Psychic impressions. The Hindu term for these psychic impressions is Samskara.Infact this transcends typical psychic impressions alone.Because the genesis ,as per seminal Hindu meditative research ,is in the various cycles of births the soul goes through.This is an interesting field.Dr Brian Weiss sheds a lot of light on this. Also,many thanks for visiting my blog. Thank you for your comment. Thinking of our reflex actions in communication as having origins in Samskaras is an intriguing way to look at anger. A kind of conditioned response from the way-past.